Via Joystix Classic GamesAll this and more, right in your browser. The internet is an awesome, awesome place. 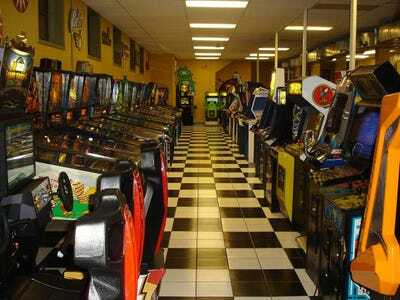 Case in point: Thanks to the Internet Arcade, you can play more than 900 classic arcade games, right from your browser. That means you can play the 1982 hit “Joust,” Atari’s famous “Millipede,” or my favourite, “Arkanoid.” And a bunch of stuff in between. Some of the pages give you a little history of the game and a description of how to play. Jason Scott, a developer who worked on this portion of the JSMESS project, writes in a blog post that some of the games might be a little buggy. “Of the roughly 900 arcade games (yes, nine hundred arcade games) up there, some are in pretty weird shape — vector games are an issue, scaling is broken for some, and some have control mechanisms that are just not going to translate to a keyboard or even a joypad,” he writes.